This week I took the Hammersmith and City line to Paddington and got onto a GWR train at Paddington to go to Ealing Broadway. I used to make this journey quite regularly but hadn't done so for about 6 or 7 years. 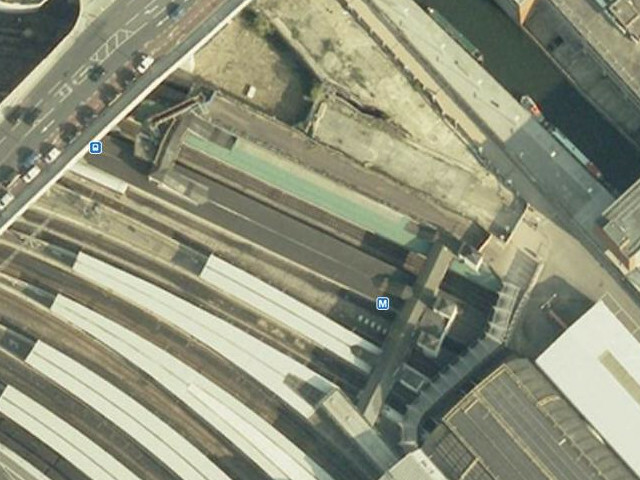 Maybe my memory is playing tricks on me but have the refurbishment at Paddington adding considerable walking distance/time to this interchange. I recall basically getting off the tube, hopping up some stairs and basically you walked straight downstrairs onto the GWR platforms. I suppose this created some fare evasion issues particularly for longer distance trains. Now there seem to be two different ways of doing it but both taking considerably longer. I went back the same way and again it seems a longer route to walk. Or am I just mistaken and is it the same as its always been? I recall the signposting for this particular interchange was basically not existence then and isn't that great now. Yes the walking routes are now longer. This is a consequence of the new H&C line ticket hall being between the LU tracks and the canal rather than above (and part of the same paid area as) the suburban platforms at Paddington. That footbridge and ticket hall area used to get overcrowded with the existing traffic, adding Crossrail into the mix as well and it would have been dangerous. I agree the signage could be improved, and some NR ticket machines on the route wouldn't go amiss either. Interesting, I've never spotted them! Thanks Chris- glad its not me imagining it! Was there much opposition to this at the time? Assume it's permanent. I wonder if there's an estimate / measurement of how much distance/time it adds? - it seems considerably further / extra time especially if you make the journey twice a day! It was such a secluded staircase using it always felt like a secret only I knew about. Bit gutted! I don't know whether there was much opposition, but the new entrance is much better situated for the canal and the office developments around the area so it would have generated support from workers there I suspect. How much time it adds is a difficult one, as it depends on where in the station you are going to and the time of day - with so much more space available the new entrance is much easier to navigate during rush hours than the old narrow, two-way staircase. Your comment about being secluded and feeling secret though makes me wonder if instead you are talking about the small footbridge that only linked to the adjacent island platform (seen top left in the 2008 view from Google Earth below) rather than the one that included the ticket office (which didn't actually sell tickets for a long time before it closed, presumably so as not to generate queues in an already crowded area). If so then for at least the past several years before redevelopment that was signed as a staff/fire escape route only and has now been demolished to make way for one of the two sets of stairs to the new ticket hall. I once touched in on the Mainline ticket barriers by mistake, when I realised that the Hammersmith City Line was blocked. Luckily the Mainline gateline staff let me back through manually, and vice versa at the new Underground entrance hall - they had a lot of people doing this by mistake in the first two years of operation! Very poor signage initially, which has subsequently been improved over the years. Last Edit: Apr 27, 2016 18:01:26 GMT by superteacher: Missing word added.